In 1966, multiple Grammy award winning artist Aaron Neville celebrated a career first when Tell It Like It Is charted, peaking at #1 in 1967 on the R&B charts. 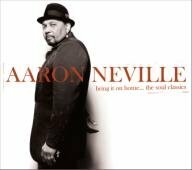 Now, almost forty years later, after selling over 10 million records in the US alone, Aaron Neville makes history as Burgundy Records Bring It On Home…The Soul Classics becomes his highest selling debut ever. The CD debuted at #37 on the Billboard Top 200 Chart and sold 22,212 in its first week. "The early success of this CD is testament to the longevity and staying power of classic artists such as Aaron Neville. We couldn’t be happier," says Joe DiMuro, Executive Vice President and General Manager of SONY BMG’s Strategic Marketing Group and Burgundy Records. Bring It On Home...The Soul Classics is a collection of Neville's favorite soul songs including Otis Redding's (Sittin' On) The Dock Of The Bay, Sam Cooke's A Change Is Gonna Come, Ben E. King's Stand By Me, Bill Withers' Ain't No Sunshine and the album's first single, Curtis Mayfield's It's All Right. 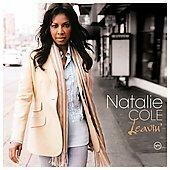 The set also features collaborations with Chris Botti, Chaka Khan, David Sanborn, Mavis Staples and Art Neville. Aaron Neville kicks off his "Bring It On Home...The Soul Classics Tour" on October 1st. The Sony BMG Strategic Marketing Group (SMG) recently launched its new record label, Burgundy Records. The Sony BMG SMG imprint plans to sign legendary multi-platinum artists and release new titles in conjunction with an innovative marketing campaign that will promote the artists through traditional and non-traditional channels. 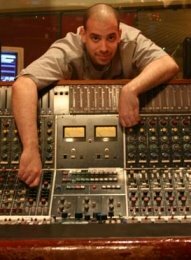 Mocean Worker has worked as an assistant to bassist/producer Marcus Miller (Miles Davis, Luther Vandross, EU) and he has compiled and produced dozens of jazz and R&B reissues, including work for the Verve Remixed albums. His credits as musician include collaborations with Bill Frissell, Hal Willner, Brian Eno and legendary producer Joel Dorn (Roberta Flack, John Coltrane, Leon Redbone). Under the Mocean Worker moniker, he has released three albums of genre-defying electronic music: Home Movies from the Brain Forest (1998); Mixed Emotional Features (1999); and Aural & Hearty (2000), plus Enter The MoWo! (the debut title on his MoWo! Inc. imprint), where elements of jazz, funk and electronic music co-exist in a lively, refreshing fashion. Now he has taken on the project of Elvis Presley’s Burning Love song remix. The project initially started out as a 30-second remix for use in a Honda CR-V commercial for broadcast in Japan, however, it now being shown in the United States. According to Mocean Worker’s official website, it seems that he has completed a full length version for potential commercial release. The remix highlights Elvis’ vocals as well as the original bass and piano elements, embedded with a new feel good groove that fits in perfect with Elvis’ style. Let’s hope that SONY/BMG decides to commercially release this, and yet - - could this be part of a larger plan to release a full remix album? We’ll keep you posted on this. Jazz quartet Beat Kastli is putting in an appearance at the Tower Records at Lincoln Center before heading off to Germany and Switzerland for a tour beginning on Oct. 13. They’ll be playing at the renowned clubs Die Unterfahrt in Munich and Moods in Zuerich. The Swiss jazz magazine Jazz ‘n’ More is promoting the tour with a full blitz on radio (BR4, Toxic FM, Lora, etc), and in the press (Klenkes, St. Galler Tagblatt, NZZ, etc.). The quartet consists of Beat Kaestli (vocals); Tino Derado (piano); Sven Faller (bass); and Martin Kolb (drums). London-based and Sao Paulo raised Brazilian singer Cibelle will perform with her band at the Café du Nord in San Francisco on Friday, Sept. 29. Cibelle is touring in support of her recent album, The Shrine Of Dried Electric Leaves. American audiences were first introduced to Cibelle on her vocal work on Suba’s groundbreaking electro-Brazilian album Sao Paulo Confessions. 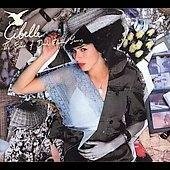 Launching her solo career in 2003 with the release of her critically acclaimed self-titled debut, Cibelle’s intimate voice has established her as one of the most inventive and distinctive musicians to emerge in recent years. On her second album, The Shrine Of Electric Leaves, Cibelle collaborates with Devendra Banhart, Brazilian singer Seu Jorge and French MC/beatboxer Spleen. Chuck Loeb is replacing Fourplay at the Blue Note this evening in New York City. 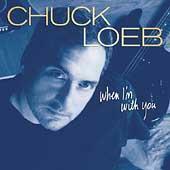 Fourplay has had to cancel due to illness, and so Chuck Loeb will appear there on Sept. 28 and 29. The show times for both nights are 8:00 pm and 10:30 pm, with a music charge of $20 at the bar and $30 at the tables. For more information click to www.bluenote.net. performed a two-night stint on Late Night with Conan O'Brien, stopped by MTV's TRL, and appeared on the Ellen DeGeneres Show. -- USA TODAY -- "Mayer's smartly crafted third album combines singer/songwriter pop and sinewy guitar blues as he broaches a range of mature themes." -- NEW YORK TIMES -- "Mr. Mayer has been writing songs again, good ones, with all the leanness and directness that distinguish his strongest work." -- ENTERTAINMENT WEEKLY -- "many musicians with his all-star-level guitar skills will go reeling off into jam-band indulgence at the least opportunity, but Mayer always plays understated, lacing his catchy songs with crystalline blues licks and subtle jazz-style filigree." -- STEREOGUM.com -- "We're convinced we're witnessing the emergence of a true artist." -- ASSOCIATED PRESS -- "... the album is driven by serious themes, fat guitar sounds and Mayer's stirring voice. Continuum reveals his maturity as an artist, both in content and style -- a development he attributes to his collaboration with drummer Steve Jordan and bassist Pino Palladino, who collectively form the John Mayer Trio, which released a live blues album last year." Having recorded and performed with some of the most interesting and iconic artists on the scene, Mayer returns with an album that showcases his diverse influences, rich lyrics, the groove of the guitar-slinging bluesman and the vocals of the soulful crooner. 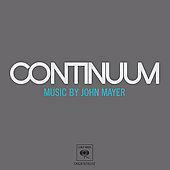 Continuum was co-produced by John Mayer and Steve Jordan and features sultry tracks such as I Don't Trust Myself With Loving You, Slow Dancing In A Burning Room, and the Sam Cooke-flavored I'm Gonna Find Another You. Followers of the John Mayer Trio will recognize Vultures and Gravity reworked for the studio by John, Steve, and Pino, as well as a blazing display of fretwork on Jimi Hendrix's Bold As Love. Longtime fans will appreciate songs like Heart of Life and Stop This Train as keeping in-step with trademark Mayer material. Billboard magazine wrote that the melodic, up-tempo Waiting On The World To Change is "already off to a blockbuster start," whose ascent to "No. 1 is all but a given" and People magazine noted that, "John Mayer channels Curtis Mayfield" in a song that reflects the challenges and frustrations of his generation. A musician and collaborator who exceeds genre boundaries, John Mayer famously toured and recorded with power players Pino Palladino and Steve Jordan as the John Mayer Trio, whose live album Try! was released in November '05. Mayer's other collaborators -- from Rock to Blues, Hip-Hop to Jazz to Country -- have included Eric Clapton, BB King, Buddy Guy, T-Bone Burnett, Herbie Hancock, Dixie Chicks, Kanye West, Alicia Keys, and Ahmir ?uestlove. From his acclaimed debut Room For Squares in 2001 through 2003's Heavier Things to his most recent work with the John Mayer Trio, the guitarist, vocalist and songwriter has sold more than eight million albums and earned three Grammy Awards. After years of admiring each other's musical masterworks and Clapton covers of Cale songs such as After Midnight and Cocaine, guitar greats J.J. Cale and Eric Clapton have teamed up for the first time to create an original album together, The Road To Escondido, set for release on November 6. The 14-track CD was produced and recorded by the duo in August 2005 in California. The resulting music defies being labeled into any one category, but instead finds influence across the spectrum of blues, rock, country and folk. A hybrid sound that is unique musically, while still bearing the signature styles of Cale and Clapton recognized by fans around the world. The songs are warm and rich, with deep flowing rhythms, yet use an economy of words to express much. In a true collaboration, Cale and Clapton jointly produced and recorded the album, each playing and singing on the tracks. Cale wrote 11 of the songs, Clapton wrote Three Little Girls, John Mayer wrote Hard To Thrill and the duo cover the blues classic Sporting Life Blues. J.J. Cale's touring band accompanies them on the album as well as guest musicians including, Taj Mahal, John Mayer, Derek Trucks, Doyle Bramhall II, Albert Lee, Nathan East, Willie Weeks and Steve Jordan. Particularly special is the involvement of Billy Preston, who donated his classic keyboard talents throughout the album. The album is dedicated to Preston and Clapton's late friend Brian Roylance. "Eric and I have known each other for a long time and it was a great experience to finally make a record together - he's a great musician and it was a pleasure to work so closely on this project with him," said J.J. Cale. "This was the realization of what may have been my last ambition, to work with the man whose music has inspired me for as long as I can remember, there are not enough words for me to describe what he represents to me, musically and personally, and anyway I wouldn't want to embarrass him by going overboard, for he is a truly humble man... I think it's enough to say that we had fun, made a great record, and I for one already want to make another," said Eric Clapton. Clapton has often said that he has tried to achieve the J.J. Cale sound and has credited Cale with singular influence over his style as a solo artist. Mojo Magazine asked Clapton in 2000 which other musician he would most like to be, his response was quick: "I don't model myself on him but I like J.J. Cale, his philosophy, writing skills, musicianship. He's a fine, superior musician, one of the masters of the last three decades of music." J.J. Cale is known for being reclusive. He lets his music speak for itself and by his own choice has not become famous in the conventional terms of the word. Instead, preferring to shun the spotlight for a more simple existence based on his musical creations. Ironically, doing just that, and focusing on his music, has turned him into a guitar legend over the past four decades. 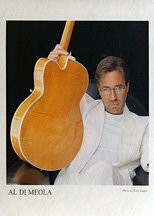 The depth of his influence can be felt in artists such as Clapton and Mark Knopfler, but the sheer breadth of his appeal is made clear by the diverse group of artists who have covered his songs from Johnny Cash, Lynyrd Skynyrd, and The Allman Brothers to Bryan Ferry, Deep Purple, Santana and more recently jam bands like Widespread Panic. Cale grew up in Tulsa, Oklahoma and cites Chet Atkins, Les Paul and Chuck Berry as some of his earliest influences. He is often quoted as saying, "In trying to imitate them, I missed it. And I came up with my own kinda thing." And so, Cale began playing the local Tulsa club scene in the early 1950s surrounded by other natives such as David Gates (Bread) and Leon Russell. After moving to Los Angeles in the mid-60s, he recorded the song After Midnight. Already an accomplished guitarist with bands such as the Yardbirds, Cream and Blind Faith, Clapton ventured to a solo career with the release of his 1970 self-titled Eric Clapton album. Mutual friend Delaney Bramlett had given Clapton a copy of Cale's song After Midnight. Clapton decided to cover the song and it was the first single from the album. The song became a chart-topping success. Clapton was quick to offer praise for Cale's work while promoting the album. Cale had been told of the cover but has said that he didn't pay much attention until the song came on the radio in Tulsa. Years later, in April 1976, Cale was performing at London's Hammersmith Odeon in support of his Troubadour album release. Clapton sat in on the performance and later during that trip surprised Cale in the studio with a version of Cocaine that would appear on his 1977 Slowhand release. Again becoming a chart-topping success. In the years to follow, the two would occasionally cross paths, but would largely carry on with their respective musical careers. Until 2004 when Clapton was organizing a Dallas-based guitar festival called Crossroads. The 3-day festival featured the world's most elite guitarists. Clapton invited Cale to perform at the festival and Cale agreed to attend. In turn, Cale invited Clapton on-stage for the set and Clapton gladly joined, unannounced, for the entire set as a member of Cale's band. The set was a highlight of the performances from the festival. Crossroads gave Clapton an opportunity to ask Cale to consider producing an upcoming album for him. If Clapton had been seeking to replicate the trademark Cale sound, having him as producer on an album would surely achieve that unique musical quality. As the two worked on the project, creative ideas took flight and they decided to take the project further formulating a true co-produced album. The Road To Escondido marks the first full-length album the two have created together. Cale's entire 40-plus year career has produced only 13 albums. But most critics agree that each effort is well worth the wait. Lauded by his peers and completely unfazed by musical fads, J.J. Cale is an American icon, a craftsman like no other. Clapton's career, also spanning more than 40 years, has resulted in 18 Grammy Awards and the distinct honor of being the only triple inductee into the Rock & Roll Hall of Fame. Legendary drummer and NEA Jazzmaster, Foreststorn "Chico" Hamilton, and label, Joyous Shout, have announced today a remix contest on Chico's MySpace page at www.myspace.com/chicohamilton. The drummer's fans can download unique beats picked by Chico, remix them and post them back on MySpace where Chico will pick his favorite tracks that will be posted on his MySpace website. The MySpace event and some surprise celebrity remixes will coincide with Chico's 85th birthday and a special birthday performance at Joe's Pub in New York City on September 21 at 9:30 pm. With 85 years under his belt and 7+ decades making great music, Chico is a unique presence on MySpace where the demographic generally skews much younger. To date, Chico has amassed over 5,000 "friends" on his MySpace page and his label is using the site in innovative ways to increase that number. As the meeting place and music discovery venue of choice for the under-30 set, MySpace is also providing an arena for older artists like Chico to reach younger fans on whose radar they might not ordinarily be "As a musician, Chico has always been ahead of his time," notes Hamilton's long-time personal manager, Jeffrey Andrew Caddick. "His music is classic and definitely appeals to a broad range of fans. With MySpace, we're just using the latest and greatest technology to get the word out to even more folks and the response has been great." Considering that Chico was born in 1921, it's fascinating to think that he's seen the advent of every new technology dedicated to entertaining the masses. From radio to television and film, 78s to 33 LPs, 8-tracks to cassettes, and now, the digital format of CDs and the Internet, Chico's music has been released in that format. Not too many artists can make that claim today, but Chico embraces it. "You know, music is God's will," Chico explains. "Music has to find its way out there and any way I can do that, I'm gonna do that. Really music hasn't changed at all, it's the same 12 bars it's been for thousands of years. The only thing that's changed is how it gets to the people." 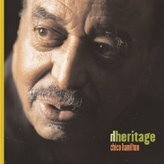 In addition to turning 85 in 2006, Chico Hamilton has released three albums (Juniflip, Believe, 6th Avenue Romp) with a fourth, Heritage, scheduled for release on September 19, 2006. Pianist/composer Michel Camilo and guitarist Tomatito come together again after six years to create the follow-up to their Latin Grammy(R)-winning album Spain. In the aptly titled Spain Again. Camilo and Tomatito expand on the idea of combining jazz and flamenco harmonies by incorporating inflections of classical piano sounds and acoustic guitar with sensual gypsy and Latin rhythms. The release of Spain Again on Emarcy (Universal Music) will be followed by a string of performances at New York City's Blue Note on September 25th, 26th and 27th. These special engagements are part of the Blue Note's 25th Anniversary Celebration. The duo will also perform in Puerto Rico and the Dominican Republic. August 1999 they recorded Spain. The best-selling album quickly amassed much praise from the media, as noted in Jazz Times: "Spain is awe-inspiring" - and Mojo described the album as a "hugely dynamic record nothing short of overwhelming." Of their Carnegie Hall concert The New York Times stated, "... together the duo found an elusive grace." Despite coming from exceptionally different musical worlds, the duo created a unique hybrid that transcends all genres. Their individual differences complement each other greatly as shown when joined together musically on Spain Again. Grammy(R) winner Michel Camilo is best known for combining rich jazz harmonies with the Caribbean flavors and rhythms while Tomatito is the renowned flamenco guitarist of his generation. Camilo noted that he was thrilled to see how much they both have evolved as artists: "The musical horizons we travel together on this recording are all close to our hearts. It was so amazing to see how after we shared our personal feelings for each song, we simply enjoyed the self-discovery process by letting the music tell us where it wanted to flow." The eleven-track album includes original compositions, a tribute to Astor Piazzolla, jazz standards and a collaboration with renowned singer/songwriter Juan Luis Guerra on Amor de Conuco. Rhino is set to release five previously unreleased Frank Sinatra concerts that were taped in Las Vegas throughout his career for the 5-disc CD/DVD boxed set Sinatra: Vegas, which is due for release on Nov. 7. The discs will include performance tapes in 1961, 1966, 1978, 1987, and 1982. Nancy Sinatra and Dean Martin can be heard on Somethin’ Stupid, recorded at Caesar’s Palace in March 1982. Other performance include the Count Basie and his Orchestra from performances at the Sands Hotel in 1966. Also included is a DVD of 1 May 1978 show at Caesar’s Palace, which includes My Way, America The Beautiful and Send In The Clowns, plus backstage footage. KCRW has expanded the online presence of KCRWmusic.com as KCRW star DJs like Nick Harcourt, Chris Douridas, Tom Schnabel, Jason Bentley, Garth Trinidad and Anne Litt are back to back instead of spread out over differenct days and times. Staring on September 4, KCRWmusic.com hit the airwaves at 88.9 FM in Santa Monica, CA. In this unprecedented move, the feature the programming from KCRWmusic.com on their broadcast stations, beaming out to channels throughout Southern California. As one of the top 20 webcasters worldwide, KCRW puts the best of underground flavors, independent records and progressive major releases withing reach 24/7. KCRWmusic.com boasts the same variety and cutting edge music that defines the station’s eclectic identity, featuring electronica to progressive pop, Latin alternative to modern soul, hip-hop, trip-hop, world music and more. Plus, now KCRWmusic.com is featuring "Today’s Top Tune," a 24-hour-only downloadable song of the day. As of this writing, this option has not yet become available, however, I do look forward to downloading some free cool music. Best-selling singer, composer, and producer Brian McKnight will release his first album for Warner Bros. Records on November 14th. Entitled 10, the album is the Grammy-nominated singer's tenth album overall. McKnight describes the album - which ranges from his signature soul ballads to smooth, sleek R&B - as "the same old Brian, just better. I finally feel like I'm in a place where I'm appreciated," he says, referring to his recent signing to Warner Bros. Records, "and that made me very comfortable and eager to work. On this record, from beginning to end, you can tell that there weren't a lot of things on my mind other than the music." 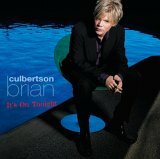 Recorded in Los Angeles over the past year and a half, 10 features a duet with Jill Scott on the romantic More Than Just A Thang, shared production credit with Brian Michael Cox (Usher, Mariah Carey, Bow Wow, Mary J. Blige, Toni Braxton) on Comfortable, and a collaboration with McKnight's country star pals Rascal Flatts on the plaintive Red, White, And Blue. "The subject matter I'm dealing with on that song, the soldiers and being away from home, is a real down-home kind of story, and one that red-blooded Americans will identify with," says McKnight, who co-wrote the song with long-time friend Brandon Barnes. "So when they heard that song, both parties said, 'We have to be a part of it. It's something really special'." In addition, songwriters Tim Kelley and Bob Robinson, known as Tim and Bob, contributed to two tracks on 10, Unhappy Without You and the album's first single, Used To Be My Girl, which hits radio on September 26. McKnight has sold more than 16 million records worldwide since his platinum self-titled debut was released in 1992. As a songwriter and producer, the Buffalo, New York, native has recorded with some of the music industry's biggest stars, including Mariah Carey, Justin Timberlake, Willie Nelson, Nelly, Vanessa Williams, and Kenny G.
Tickets-for-Charity.com, the official online charitable ticketing partner of Lionel Richie's Coming Home Tour, and United Way of America today announced that beginning September 1, 2006, an exclusive pre-sale of tickets for Richie's upcoming fall 2006 concert tour will benefit United Way. The pre-sale includes premium seats and VIP packages at different price levels for every show on the tour. The 16-city tour will begin in Detroit on October 27 and end on November 25 in Oakland, CA. During the pre-sale period, which ends on September 22, tickets for the tour are only available at Tickets-for-Charity.com and every purchase benefits United Way. Lionel Richie's Coming Home album featuring the hit single, I Call It Love is in stores on September 12. "We are thrilled that Lionel Richie's upcoming concert tour will benefit United Way and we thank Tickets-for-Charity for making it possible," said Brian Gallagher, President and CEO of United Way of America. "United Way is committed to making a difference in people's lives throughout the country. This is a great way for Lionel Richie fans to contribute to the work of United Way, such as ensuring children are ready for school or improving access to healthcare. Besides," Gallagher continued, "Lionel Richie is an incredible entertainer." Tickets and VIP packages, including backstage passes to an exclusivepre-show party and a meet-and-greet with Lionel Richie, are available at http://www.tickets-for-charity.com for purchase at face value plus a pre-determined donation amount, which will benefit United Way, especiallyin the 16 tour cities. "I have always believed in the work of United Way," said Richie. "They are there day-in and day-out in towns across America to make things better for young children, families, or those affected by crises like Hurricane Katrina. I couldn't be happier that this great organization will benefit from my tour thanks to Tickets-for-Charity." Tickets-for-Charity offers fans access to great seats at their favorite sports, music and theater events that are not available anywhere else and - in the process - gives them an easy way to support important charitable causes. Tickets-for-Charity.com, which launched in August 2005, has raised more than $1.6 million for highly respected national charities through charitable sales for music and sports events, including The Rolling Stones' A Bigger Bang 2005-2006 Tour, Barbra Streisand's 2006 Tour and The Boston Red Sox 2006 Season. Brian Culbertson is hitting the road throughout November and December with Bobby Caldwell, Warren Hill, Ray Parker Jr and Eric Darius on the Soulful Christmas tour. Charlie Hunter 3 @ Jazz Standard on Sept. 7-10. Gloria Lynne @ Trumpets on Sept. 7-8. Luciana Souza ‘Brazilian Duos’ featuring Romero Lubambo @ Jazz Standard on Sept. 13-17. Airto Moreira @ The Stone on Sept. 17. Gabriela Anders @ 55 Bar on Sept. 17. 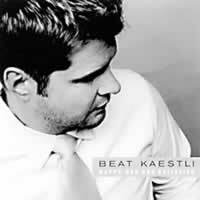 Beat Kaestli @ 55 Bar on Sept. 19. Eliane Elias @ Dizzy’s Club Coca Cola on Sept. 19-24. Michael Camilo & Tomatito @ Blue Note on Sept. 25-27. Patrice Rushen featuring Terri Lyne Carrington @ Dizzy’s Club Coca Cola on Sept. 25-26. Karrin Allyson @ Dizzy’s Club Coca Cola on Sept. 27-30. Fourplay @ Blue Note on Sept. 28-29. Chieli Minucci @ Trumpets on Sept. 30. Boney James and Aaron Neville headline the Smooth Jazz CD101.9 concert at the Nokia Thaeter in New York on Oct. 13. Simply Red have a new single, Oh What A Girl, coming out for release on September 25. Jeanie Byron and Chuck Mangione headline the upcoming Cape May Jazz Festival, NJ coming up from Nov. 10-12, 2006. NINA SIMONE GETS REMIXED AND REIMAGINED THIS FALL! RCA and Legacy Recordings, has teamed up with producer Scott Schlachter to present the first release of a new series, Remixed & Reimagined. This brand-new collection includes many of Nina Simone’s most stand-out selections from her RCA Records period, namely those titles that sparked the imagination of the club world. Her music and life struck a powerful chord with the emerging club underground that was simmering in New York and Chicago during the late ‘70s and early ‘80s post-disco era. Fueled largely by the gay and multi-ethnic minorities that pioneered the movement, the flourishing subculture - and soon-to-be global dance music revolution - embraced Simone’s music and message. These tracks have been reinvented by some of contemporary dance and electronic music’s best producers, including Francóis K., Tony Humprhies, Mocean Worker, Coldcut, Nickodemus, Groovefinder, Madison Park & Lenny B., Chris Coco, DJ Logic, Organica, and more. Nina Simone: Remixed and Reimagined will be in stores 10/31!